"Gingham is a delightful pattern I just can’t get tired of. From picnic blanket to the small scale of these incredibly smart shirts, there’s not a moment in our lives when gingham isn’t welcome. I think this version is the smartest it can get. 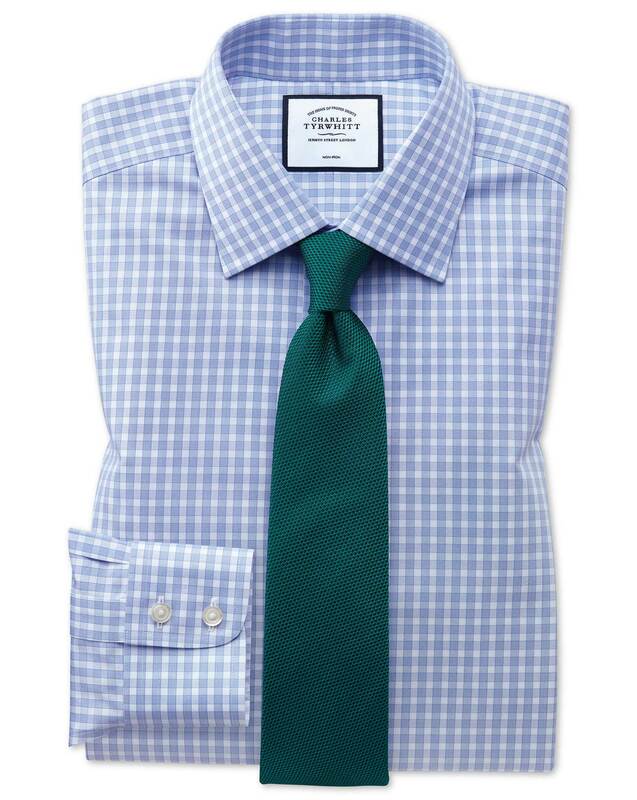 Try this shirt with your business suit and a vibrant tie." "Classic twill-weave gingham pattern, 100% cotton and non-iron." Very happy with them. Nice quality. I'd probably add the pocket next time but why is that an add'l $8? with quality, fit, and price! Very pretty shirt...nice selection of blues. 3 months ago Very happy with them. Nice quality. I'd probably add the pocket next time but why is that an add'l $8? 4 months ago Very pretty shirt...nice selection of blues.